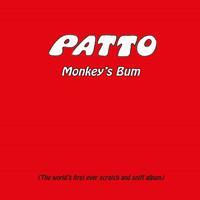 This was to be Patto's fourth album. The thing is, it was never actually released. The band fell apart in the studio and essentially broke up during the recording process. They finished the disc, but it was never released. There were bootleg versions out there, but this is the first official release of it. Personally, I think that it's the best album. That makes it a real shame that it was never actually released at the time. This edition has three bonus tracks recorded from a radio show. This comes in reasonably mellow and rather intricate. It's quite a full on prog arrangement. The blast to more rocking stuff serves as a great bit of punctuation to it. There are some things about this that make me think of Nektar, but it's more straight rock and roll than that. They bring it out into a jam later in the track that's full on jazz fusion. That works through a couple changes, but eventually gives way to a harder rocking jam. This is a shorter cut, but it's still almost two-minutes in length. The music is part psychedelia and part prog. It's a classy cut. The mix of sounds here is similar, but there are some horns added to the mix. The instrumental section here bring it more into the prog territory. There is a surf guitar vibe to the intro on this number. The cut gets more of a prog rock element as it moves forward from there. The cut alternates between more old school rock and roll based stuff and prog rock jamming. At times the prog rock elements are built upon that older straightforward stuff. I really like this song a lot. 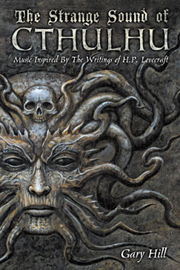 This has some of the most amazing musical passages of the whole set built into it. There are mellower modes, like the one that opens it. It gets into harder rocking territory, too. Not all of this qualifies as prog, but a lot of it does. It all qualifies as cool. It's a highlight of the set. Coming in with more of a mainstream hard rocking sound, the horns add a lot to the piece at times. There are proggy elements in the mix as it carries forward. I love the lyrics on this cut. The song rocks like crazy, too. Perhaps there isn't a lot of prog rock here. This is a fun rocker however you slice it, though. With a lot of jazz in the mix, this is a tastefully off-kilter jam. The mid-track dropped back movement is rather spacey and trippy. The powerhouse instrumental movement later if full on prog rock. There is a lot of psychedelic rock here. The cut has some jazz and more built into it, too. In a lot of ways it's mainstream rock music, but there is some definite folk prog here, too. While there is no huge change here, this is another smoking hot tune. It's perhaps the most straight hard rocking number on the disc proper. It's a strong cut. The three bonus tracks all come from John's Peel's show on BBC Radio. This has some incredible shifts and turns. The horns and more lend to the killer jazzy textures. This gets pretty amazing. It seems to suffer a little in terms of sound quality, though. I like this jam a lot. It's more full on prog in a lot of ways. There is a lot of jazz in the mix. This hard rocking number really stomps. It's a real screamer with some cool twists and turns.